Within the ever-expanding and ever-changing cannabis landscape, there truly seems to be a product on the shelves (or in the fridge) for any ailment, activity, or desired state of being. But beyond the anxiety-easing and pain-relieving is a slew of information that gets to the essential machinations that enable marijuana to do everything it does: the science behind it all. The scientific research and knowledge around consuming marijuana is in a constant state of discovery—it exists in a space where asking questions and conducting numerous studies leads to an accumulation of increased understanding. None of this information exists in a vacuum. You have certainly seen, uttered, and discussed many of the terms, the jargon, and the scientific reasonings. But all of that information can certainly feel a tad overwhelming and complex to parse through. When shopping at any MedMen location, our staff is there to help you decode the lingo and talk through the various strains, names, and ways to consume and enjoy cannabis. But for those wanting to show up at one of our marijuana stores with some expert knowledge, we gladly invite you into the MedMen classroom where today’s topic is a term you have most definitely read but may not fully know about: cannabinoids. Cannabinoids are the cornerstone of cannabis chemistry, which means that getting to know their various functions and enjoyable purpose is quite useful for a multitude of reasons. In fact, understanding the basics of marijuana chemistry is not just for those eager to discover a definition or fun fact. Learning some science behind marijuana is a way to arm yourself with a much more concrete picture of how the flower actually works within your body and brain. And cannabinoids are the optimal starting point in this education. As the name suggests, cannabinoids are found in the cannabis plant—they are the chemical compounds that are secreted by cannabis flowers that help marijuana do what it does best. The tally continues to grow in terms of the number of identified cannabinoids. Some sources claim that more than sixty cannabinoid compounds have been identified while others say the list of chemical compounds has grown to reach more than one-hundred. Science, after all, is a practice built upon discovery and education. But within the lineup of identified cannabinoids are two highly common and frequently discussed compounds: THC (tetrahydrocannabinol) and CBD (cannabidiol). And it just so happens that these two compounds are the ones that pertain the most to your cannabinoids education. THC is the compound known to induce the psychoactive qualities of weed, while CBD produces effects of marijuana for medicinal uses. 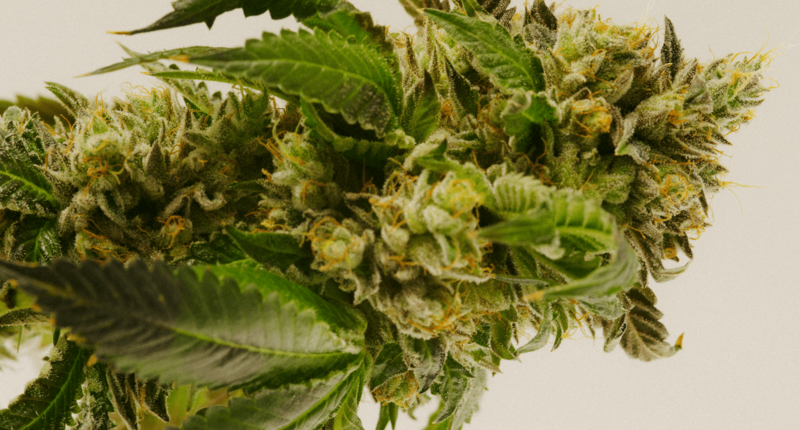 It is a difference you most likely are familiar with: THC gets you high, CBD enables you to enter into a state of relaxation, help you to manage pain, and so much more—just without entering that high state. Two cannabinoids that offer up a multitude of uses, be it recreational or medicinal. But here is something you may not have known—your body also has its own naturally occurring cannabinoids; they’re called endocannabinoids and they are essential to how the marijuana magic gets to working. Endocannabinoids help the body keep up internal health on a cellular level, and when cannabinoids enter the body via marijuana consumption, they bind to receptors on endocannabinoids. These receptors are classified into two types: cannabinoid receptor type 1 (CB1), which exist in the brain, and cannabinoid receptor type 2 (CB2), which are found primarily in the immune system. Much of these processes take place in the endogenous cannabinoids system, otherwise known as the endocannabinoid system (ECS). It’s essentially a network of cell receptors that exist throughout the body and interact with cannabinoids once they enter. In fact, none of the effects of cannabis would come to fruition without this system—it’s the interactions between receptors and cannabinoids that get everything going. Because the cannabinoids found in the cannabis flower are structurally similar to the endocannabinoids in our bodies, they can bind with the cannabinoid receptors that are found throughout the endocannabinoid system. Different receptors bring upon different effects, which is why marijuana experiences can run the gamut from pain-relief to sleep-inducing. Whether you smoke from your vape or have a piece of cannabis infused chocolate, the process begins in the brain and body as cannabinoids bind to various receptor sites. Different cannabinoids bind to different receptors, eliciting their respective effects. THC, for example, binds to receptors in the brain, where the high feeling begins to come to life. Depending on the compound, its chemical composition, and detailed interactions, cannabinoids can impact pain transmission within chemical processes and are also known to interact with the brain’s opioid system, influencing dopamine transmission. The chemical complexities are fascinating, and this pool of knowledge is just the beginning. As the studies of marijuana continue to grow so will our collective understanding around the inner-workings, uses, and capabilities of the plant. What are you waiting for? Stop by your nearest MedMen and get your hands on the products made possible thanks in part to cannabinoids.